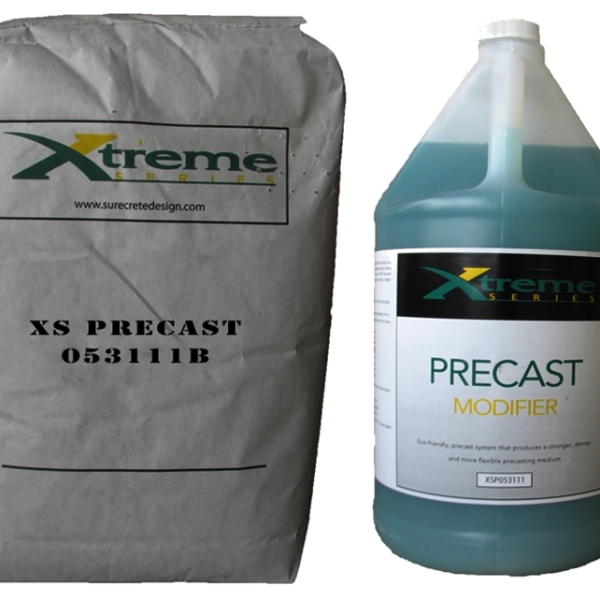 SureCreteâs XS Precast is extremely easy to use making it the best commercial grade concrete countertop mix pre-blended formula in the industry. Our dual component high strength precast concrete countertop mix greatly reduces the materials and labor typically required. With no reinforcement needed, thinner precast pieces are used, and quicker production times are accomplished with high strengths. Being a stronger, denser, and more flexible cement composite, our casting mix is created by combining cutting-edge technology with modern fiber advancements. With a wide range of color and texture selections along with the addition of optional aggregate loading (up to 10 lbs. per bag) design considerations are nearly limitless. Surecrete Design Products concrete bendable concrete mix âXS Precastâ produces concrete countertops kitchen, fireplace mantles and facades, shower surrounds, wall panels, furniture and many other architectural elements. 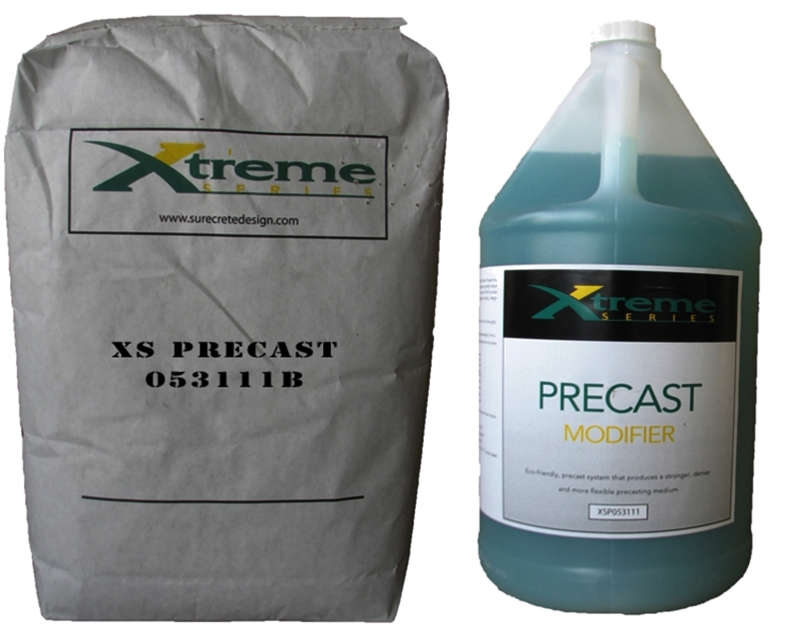 XS Precast is the perfect product for residential countertops day, commercial, and industrial applications making it the most desired concrete counter top mix in the world.